Hunter Miska leads the Roadrunners out onto the ice for warm-ups, he'll make his 12th start of the season. 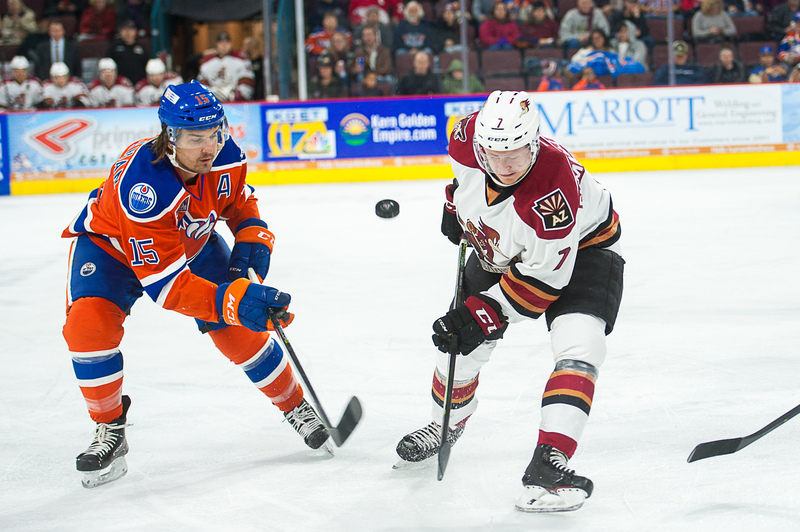 He stopped 15 of 16 shots faced in the team's 4-1 win over the Condors on November 11 at Tucson Arena. Enter Artur Tyanulin, who will be in the lineup for the fourth time this season following his recall earlier in the day. Dylan Strome draws back into the lineup after serving as a healthy scratch Wednesday night. 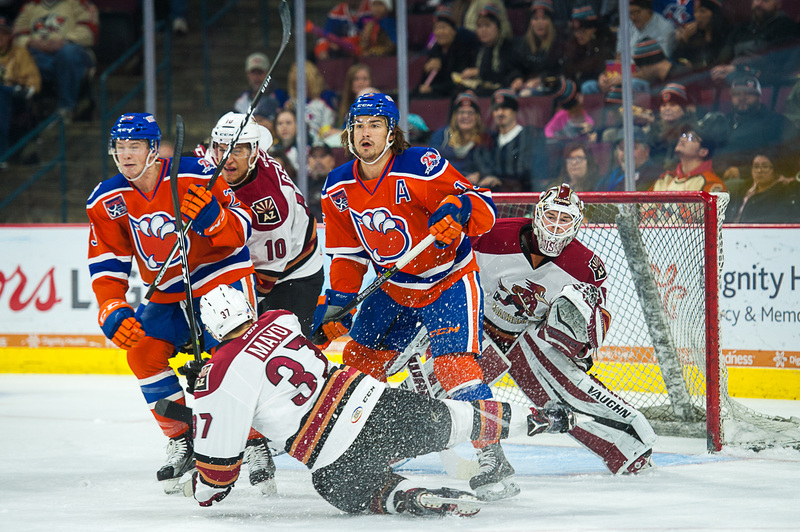 The Roadrunners are 3-0-0-0 against the Condors this season; they won 4-0 in their only previous visit to Rabobank Arena this season on October 14. Bakersfield takes a 1-0 lead just over five minutes into the game, completing a 2-on-1 sequence after Hunter Miska failed to control the initial shot. Dylan Strome buries his 10th goal of the season 7:57 into the game, momentarily tying the game 1-1. 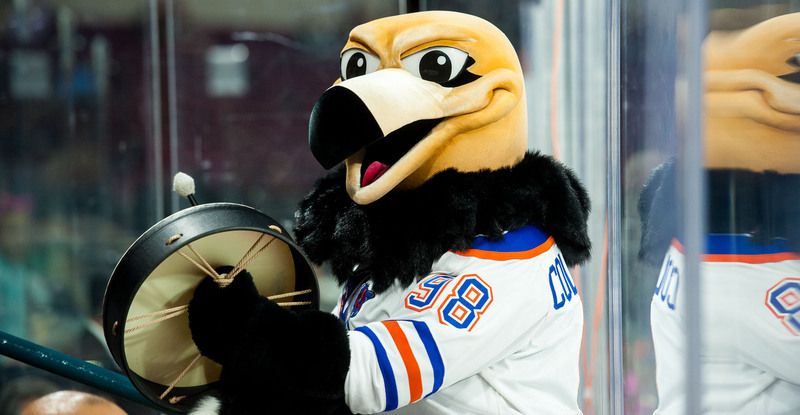 The Condors respond with a power play goal in the late stages of the period to take a 2-1 lead. Hunter Miska stops 12 of the 14 shots faced in the opening frame. Nick Merkley hits the post on a power play opportunity early in the period. Tucson gets into penalty trouble, called for four minor infractions during the second. The Condors take a 3-1 lead with 2:34 left to play in the period, scoring their second power play goal of the evening. Bakersfield outshoots Tucson 19-6 in the second. Dylan Strome buries a fat rebound on the Roadrunners' first power play of the evening to tie the game 1-1 in the opening frame. Nick Merkley registers his 14th goal of the season early in the third period. Lane Pederson brings the Roadrunners to within a goal with 4:00 left in regulation. Tyler Gaudet ties the game 4-4 with 2:49 remaining in regulation. Dylan Strome walks in and nets the overtime winner 49 seconds into the extra frame.